Set in Brighton, England, among the criminal rabble, the book depicts the tragic career of a 17-year-old boy named Pinkie whose primary ambition is to lead a gang to rival that of the wealthy and established Colleoni. Pinkie is devoid of compassion or human feeling, despising weakness of the spirit or of the flesh. Responsible for the razor slashes that killed Kite and also for the death of Hale, he is the embodiment of calculated evil. As a Catholic, however, he is convinced that his retribution does not lie in human hands. He is therefore not prepared for Ida Arnold, Hale’s avenging angel. Ida, whose allegiance is with life, the here and now, has her own ideas about the circumstances surrounding Hale’s death. For the sheer joy of it she takes up the challenge of bringing the infernal Pinkie to an earthly kind of justice. 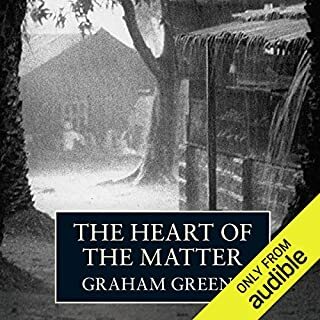 When finished, the listener is sure to ponder some lofty moral issues to which Greene, a Catholic writer, withholds easy judgments. 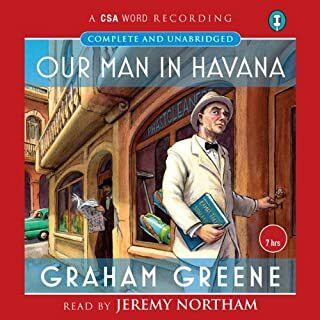 ©1938 Graham Greene, renewed 1966, 1970 by Graham Greene (P)1990 Blackstone Audio, Inc.
Great writer. Terrific book. Awful reader. Terrible performance. Who makes these decisions? How does this Richard Brown get such work? If the reader is not an artist the listener is cheated. How can I pay the same amount to listen to Frederick Davidson read John le Carre as to hear RB to read GG? There is not a student at Tisch who could not do a better job than this. Inexcusable. Fire the hirer. Dear Blackstone Audio or Audible or whomever: give the job to somebody who knows what they're doing. My wife, an equally avid consumer of audiobooks is less tolerant than I. She would not have given this book15 minutes. I hung in for reasons not related to the value of the experience. Good prose by a bad reader? Good dialogue by one who cannot act? Stop letting this happen. Please. Once again Greene creates vivid characters who the reader feels sure actually exist. This may be among his best, I say may be only because I still have a few more to read!!! Bravo. Hard to listen to. The recording is very low fidelity and contains a lot of harsh sibilants. 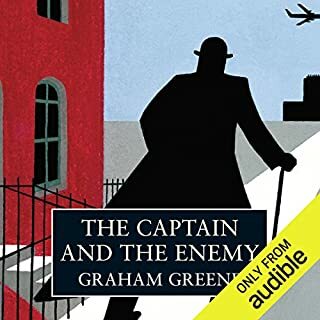 I am not sure why they chose to record the original version of this book, which is full of ugly anti-Semitic invective, when Greene himself repented and edited out that content in later editions. 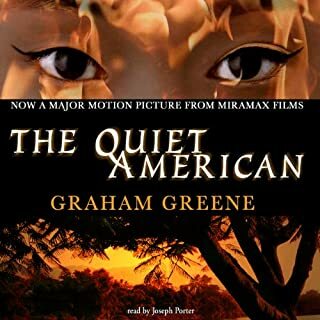 Would you be willing to try another book from Graham Greene? Why or why not? He seemed to mix up the different voices at times and I couldn't tell who was saying what. 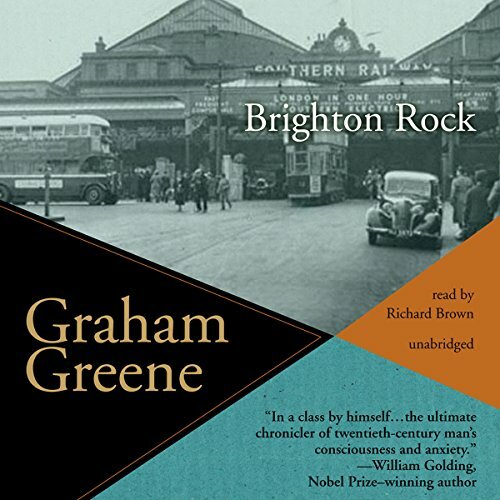 This is a very interesting novel spoiled by anti-Semitic content, which Greene tried to rectify during his lifetime. Why anyone would go back and re-inject such objectionable content into a book whose author had removed it is beyond me. Not just a question of justice for murder, but the nature of good and evil, of God and the Church are under investigation in this taut, wonderfully written story of twisted young love. I think it’s a compelling story and there are some great sentences... but it took me months to get through it. I’d give up and then come back again, spurred by some sense of duty or masochism. I came back for the writing, I gave up because the narrator sounds like he’s got a sinus infection and is reading everything in quotes, with no sense of the musicality of the language, or the natural rhythm or phrasing of the dialogue.. all of which is subjective of course, but still. I suppose I’m spoiled by the production that goes into more contemporary audio book recordings. 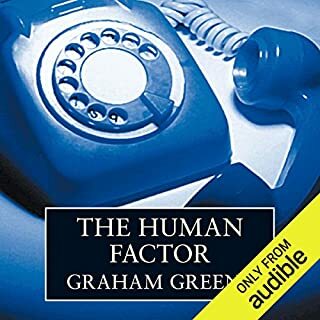 As for the book itself, there are just a lot of really timeless observations of human nature and some brilliant phrases - what I come to fiction for. At least partly. If you’re looking for a protagonist to sympathize with you’ll be disappointed. But believable characters and starkly believable scenarios. 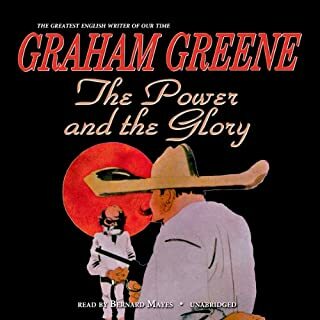 Supposedly, this is Graham Greene 's 1st masterpiece. Some may find it an intriguing psychological novel. I found it tedious. The protagonist is an anti-hero, but there are no likeable characters at all. The character development is great, but I simply didn't care what happened to any of them. Read well by Richard Brown, a familiar voice from the Books-On-Tape era. (He was the first BOT reader of the Patrick O'Brien books.). Cannot recommend, even though it was made into two movies. Was looking forward to this one as I heard the story is fantastic. However, I couldn’t handle the narrator’s awful voice. I think I would have intentionally turned my car into a fiery wreck if I had to listen to that voice for my commute everyday.